This is easily the cutest thing I’ve eaten in a while, and it’s delicious as well! If you trust your kids not to put raw meat in their mouth or stab themselves with wooden skewers, it could even possibly be a fun thing for them to help with? I don’t know, I’m not a childitician, that’s for sure! 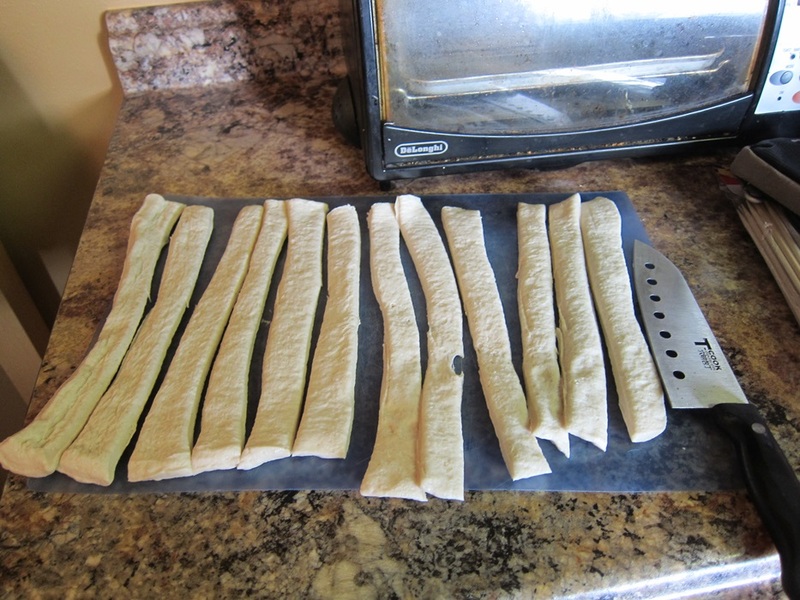 My supermarket didn’t have tubes of breadsticks, but did have tubes of pizza dough, so I just cut one of those into 12. Line two baking sheets with parchment and set aside. Preheat oven to 375 degrees. Use your hands to mix the turkey, bread crumbs, Parmesan, oregano, basil, parsley, red pepper, and garlic together well in a large bowl. 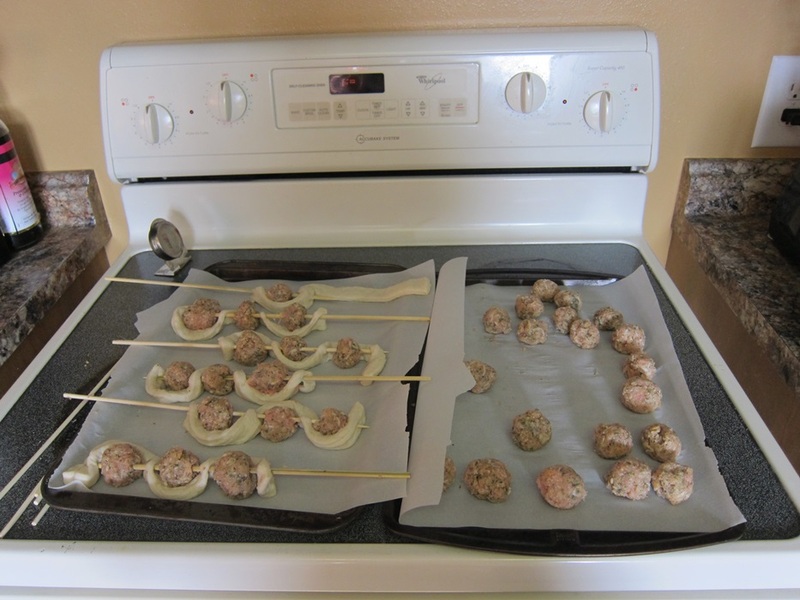 Shape into 35 meatballs, roughly 1″ across each. Open and unroll the container of breadsticks. 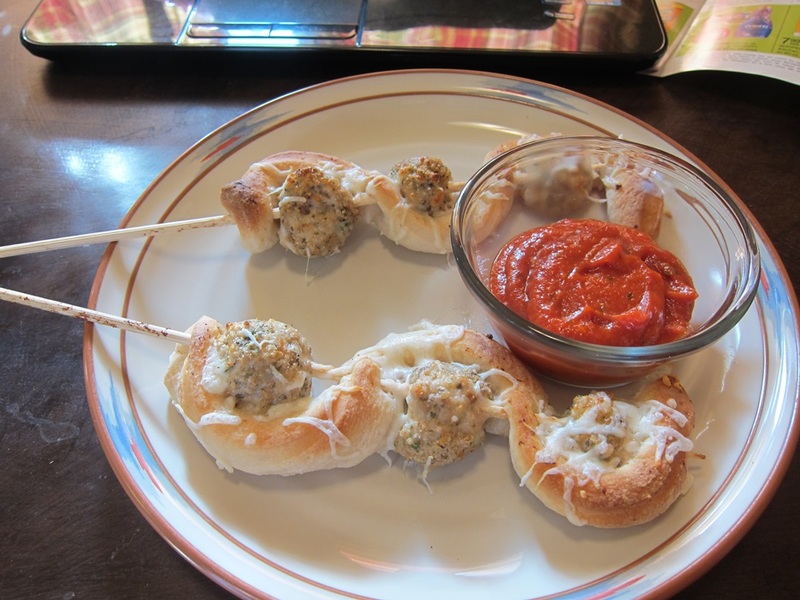 Take one skewer and poke it through the end of a breadstick, through a meatball, back through the dough, a second meatball, dough again, a third meatball, and finally once more time through the dough. 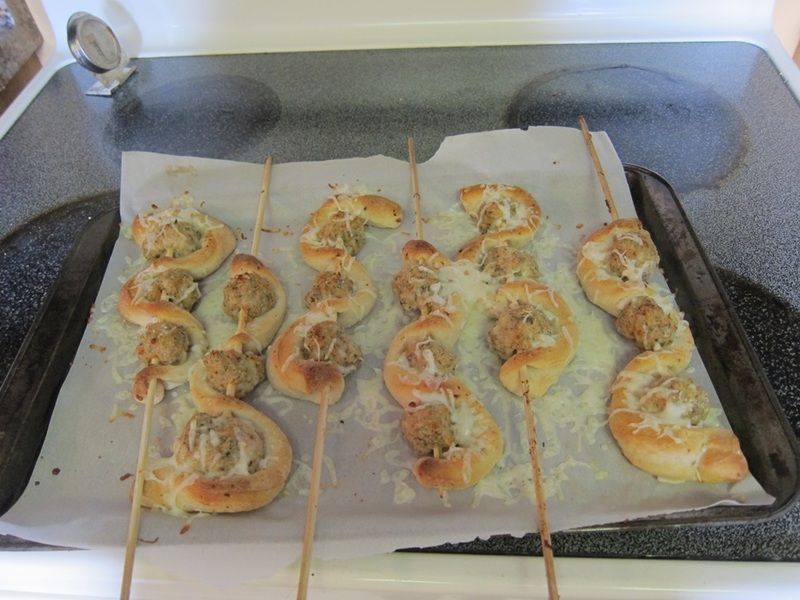 You want to make the loops of breadstick fairly large, so that when you place them down on the prepared trays, there is a gap between the dough and the meatball, allowing the meatball to cook through and the dough to expand as it bakes. Repeat 11 times with the remaining pieces, then bake for 20 minutes. 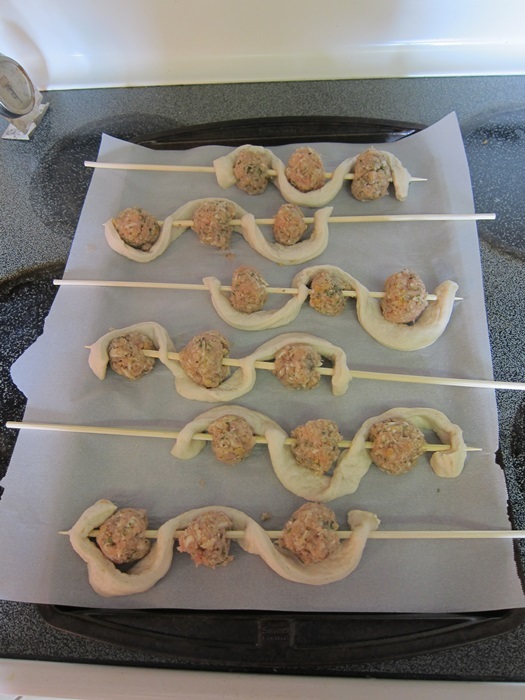 Remove the trays from the oven and sprinkle each skewer with 1-2 tablespoons of mozzarella. 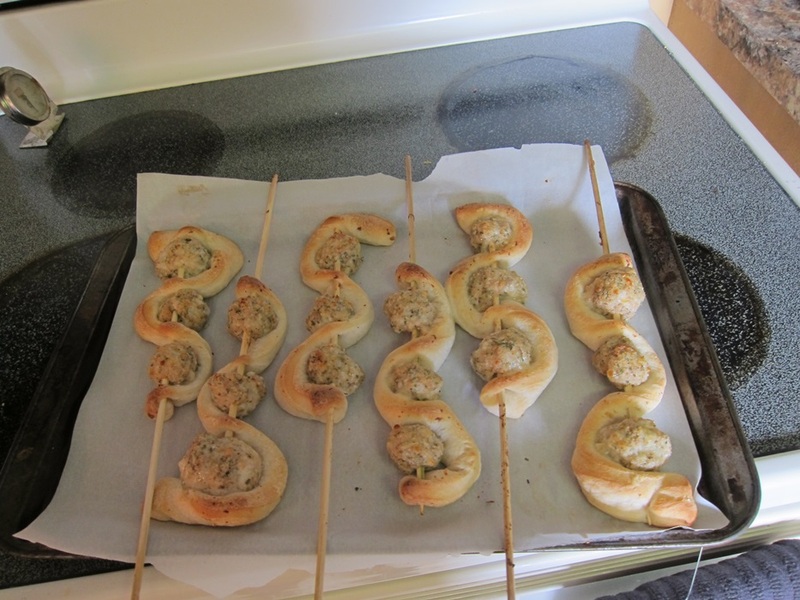 Bake a further 2-3 minutes, then serve still hot with marinara for dipping. It’s got the melty cheese and crunchy bread of a meatball sub, with a reduced risk of elbow-high sauce! Yum! Use your hands to mix the turkey, bread crumbs, Parmesan, oregano, basil, parsley, red pepper, and garlic together well in a large bowl. 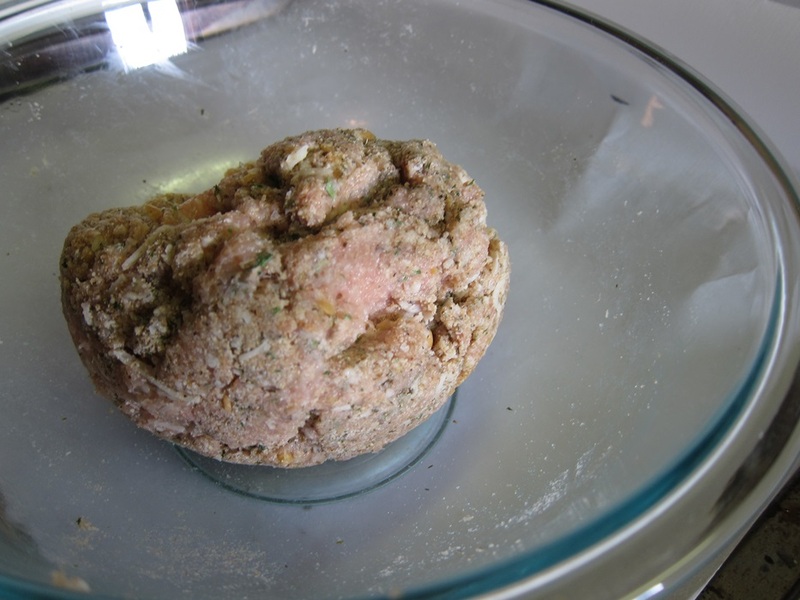 Shape into 35 meatballs, roughly 1″ across each. 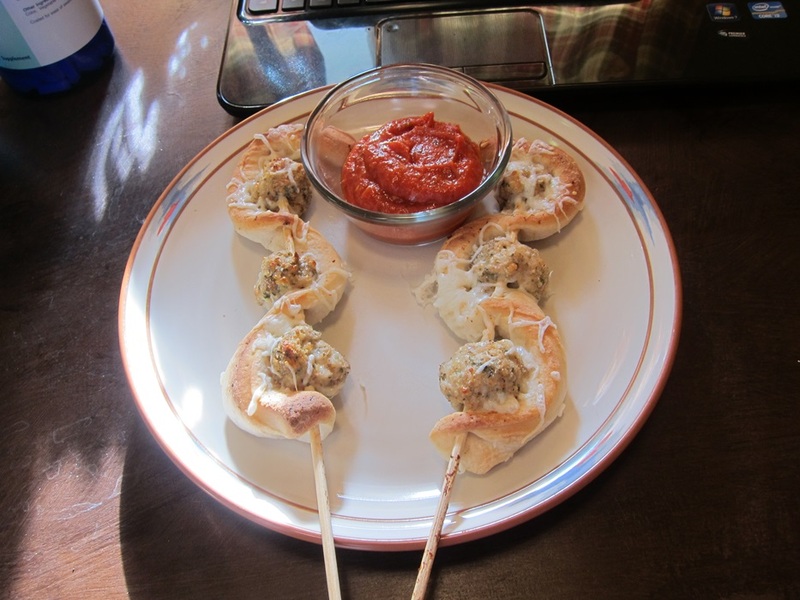 This entry was posted in Dinner and tagged cheese, everything's cuter on a stick, meatball sub, meatballs. Bookmark the permalink.